L.D. 1810, which failed on a party-line vote, was pushed by a Vassalboro man and seeks to increase the penalty for some uninsured drivers. A bill that seeks to increase criminal penalties for driving an uninsured vehicle was voted down by a Senate committee Wednesday and now goes to the House for consideration. Gov. Paul LePage submitted the bill after meeting with Mike Lyons, 60, a Vassalboro man who was struck by an uninsured driver in 2008. Maine drivers are required to carry $50,000 in auto insurance. The bill, L.D. 1810, would make it a class C crime for an uninsured driver to be involved in an accident that results in severe bodily injury. Class C crimes are punishable by up to five years in prison and a $5,000 fine under Maine law. Driving without proof of financial responsibility is now a class E crime, punishable by up to six months in jail and a $1,000 fine. About 1 in 22, or 42,000, Maine drivers don’t carry insurance, according to the Insurance Research Council, an independent nonprofit research organization supported by national insurance companies. 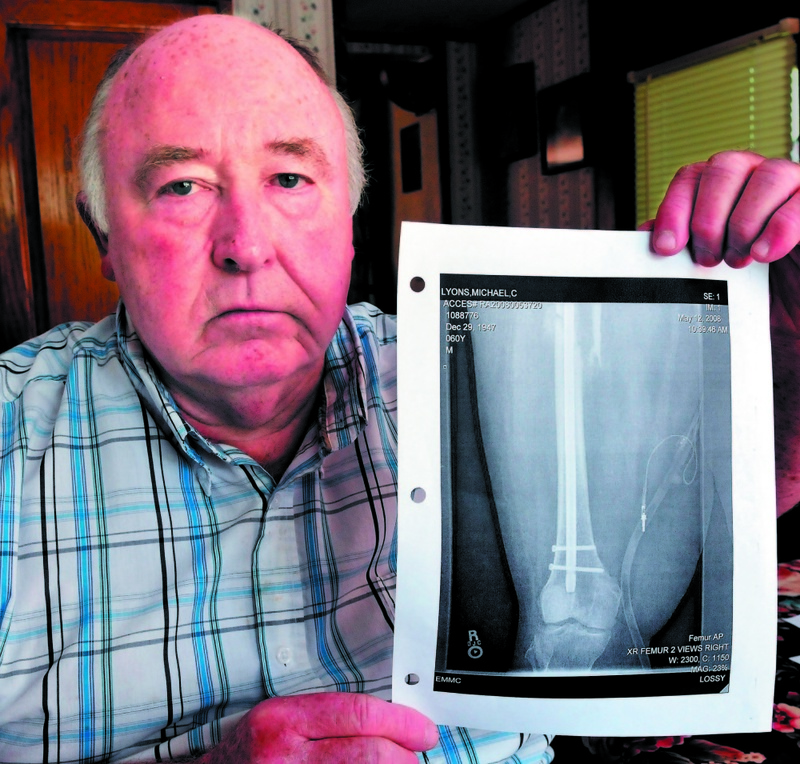 Lyons was driving on U.S. Route 201 in Winslow when an uninsured driver made a left turn in front of him, causing an impact that broke Lyons’ leg in five places, among other serious injuries. After nine surgeries, Lyons still is coping with the health effects and has been unable to return to his job as a marketer for Bank of America. Because the driver who hit him was uninsured, Lyons has had to bear the brunt of the cost of his medical care. He has been pushing actively for the law for about a year. Lyons said partisan politics were at play and that the current penalties encourage rule-breaking. The vote failed on a party-line vote in the Criminal Justice and Public Safety Committee, with 19 Democrats voting no and 15 Republicans voting yes. An independent senator also voted no. LePage’s office and Lt. Brian Scott, of the Traffic Safety Unit of the Department of Public Safety, submitted testimony in support of the idea; while Walter McKee, of the Maine Association of Criminal Defense Lawyers, and Oamshri Amarasingham, of the ACLU of Maine, submitted testimony in opposition. McKee, writing on behalf of the defense lawyers’ association, said that no one has ever been given a 180-day jail sentence for driving while uninsured, the maximum sentence under current law. Amarasingham noted that the ACLU of Maine opposes any expansion of Maine’s criminal code because of high prison population numbers. In December, before the bill had been drafted, LePage predicted that it would not pass in committee. In a handwritten note to Lyons that Lyons shared with the Morning Sentinel, LePage warned him that the bill was unlikely to become law. The bill now goes to the Maine House of Representatives.